Nothing is better than getting out and experiencing nature. That may mean you’re taking the camper to your favorite state park, or trailering your boat to the lake. It doesn’t matter what your getaway involves – because there’s a Toyota vehicle capable of towing your prized possessions. To help you match the right Toyota for your gear, we’ve listed all of the Toyota vehicle towing capabilities below. The Toyota Tacoma is the rugged, go-anywhere midsize pickup for those seeking adventure. With a variety of cab configurations and bed lengths, there’s a Tacoma for every lifestyle and budget. 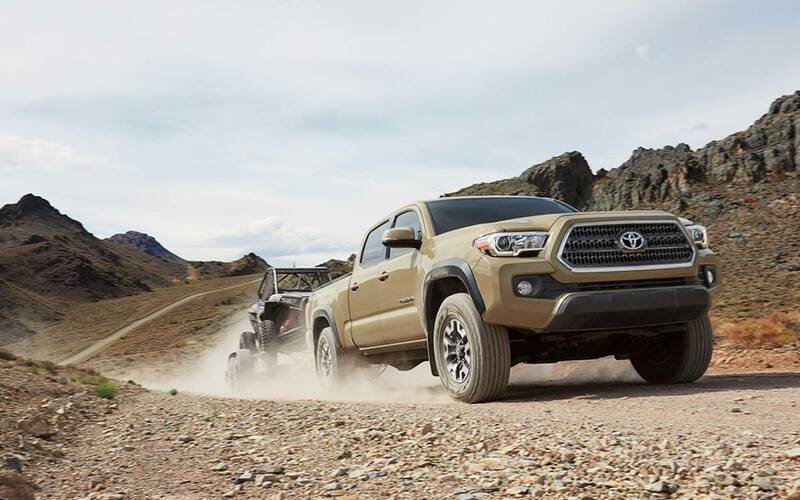 Tacoma boasts impressive available towing equipment including a Class-IV towing hitch, transmission cooler (automatic transmission only), and Trailer-Sway Control. Maximum towing capacity when properly equipped is a massive 6,800 pounds (V6 A/T 4X2 w/Tow Package). *Towing Equipment: Class-IV towing hitch receiver, ATF cooler (not available on manual transmission), engine oil cooler, power steering cooler, 130-amp alternator, 4- and 7-pin connector with converter, and Trailer-Sway Control (TSC) (V6 only). 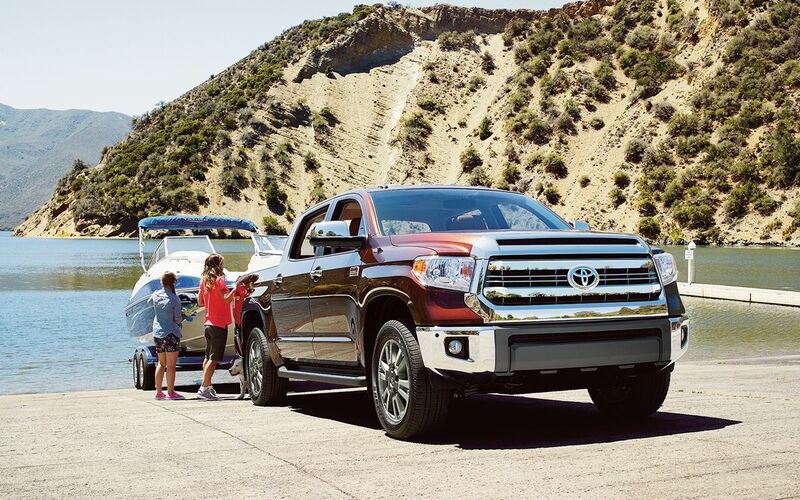 If you’re looking for maximum towing performance – look no further than the Toyota Tundra. Tundra offers robust power from the available i-FORCE 5.7L V8 engine. The TripleTech™ heavy-duty frame features an integrated towing hitch receiver and trailer hitch. A dedicated Tow/Haul transmission mode, optional tow mirrors, and available 38 gallon capacity fuel tank ensure that Tundra is up for the toughest jobs. *Tow Package: Towing hitch receiver, 4.300 rear axle ratio, TOW/HAUL Mode switch, Integrated Trailer Brake Controller, transmission fluid temperature gauge, supplemental engine oil cooler, supplemental transmission cooler, heavy-duty battery, 170-amp alternator and 4/7-pin connector. RAV4 is the sporty, versatile SUV ready to take on any challenge. 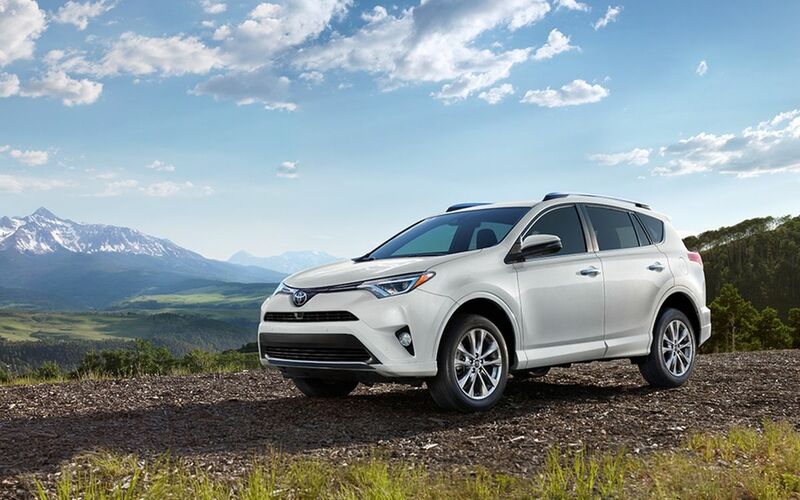 Also available as a Hybrid, Toyota RAV4 delivers impressive fuel efficiency to help you go the distance on your next road trip. Interior cargo room is plentiful and the RAV4 is equipped to tow should you have additional gear to bring along. 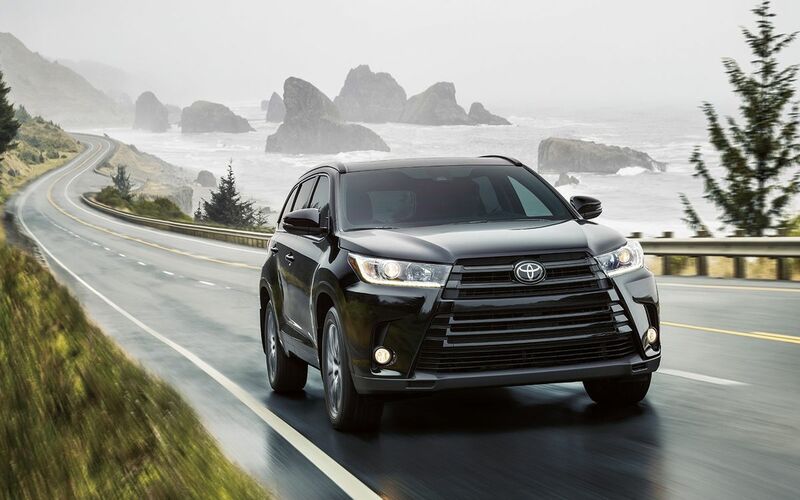 Toyota Highlander stands out from the vast crowd of midsize SUVs with its refined interior, bold exterior styling, and cutting-edge tech features. Available seating for 8 passengers means the whole party can come along for the trip. Highlander is equipped to tow up to 5,000 pounds when properly equipped, giving you the ability to bring all of your gear with you. 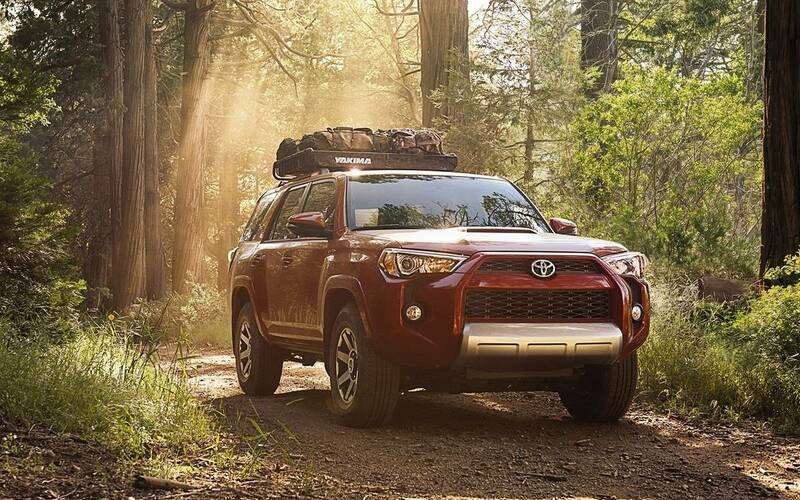 Legendary off-road capability, a body-on-frame construction, and proven reliability are just a few of the factors that make the Toyota 4Runner a top choice for those looking for a versatile SUV. Heading off the trail usually means bringing some gear along for the journey. 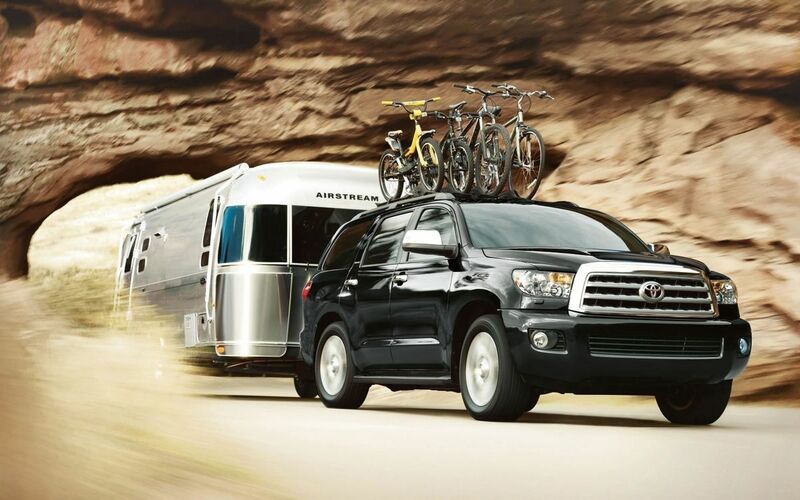 4Runner boasts an excellent towing capacity to get both you and your equipment where you want to go. Brawn meets beauty in the powerful Toyota Sequoia. Offering plenty of room for growing families, Sequoia is powered by a standard 5.7 liter V8 engine producing 381 horsepower. Rated at a maximum 7,400 pounds of towing capacity, bringing your toys along for the summer road trip is no problem. Available 4-wheel drive makes navigating the terrain easy on your way to the beach or up the mountain for a camping trip. As the landscape for luxury SUVs continues to change, the Toyota Land Cruiser stays true to its 60 year heritage of off-road capability and refinement. Land Cruiser comes with a distinctive Multi-Terrain 4-wheel-drive setup that includes a low-range transfer case for serious rock crawling. 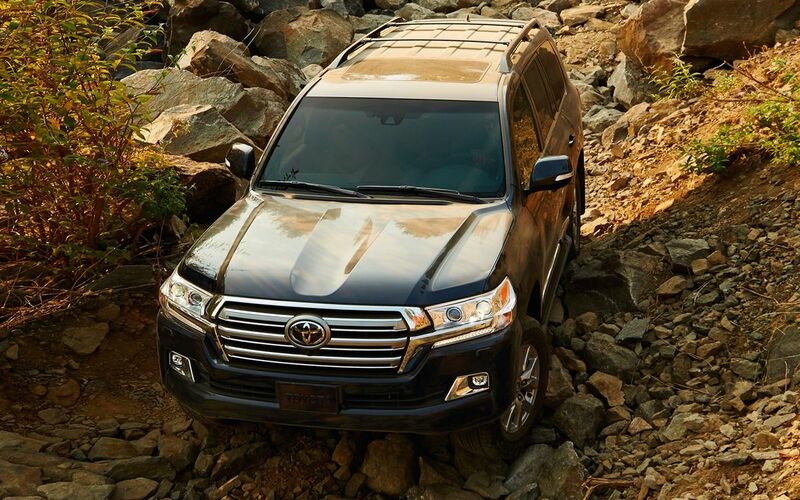 Whether you’re headed to the forest for some hiking or downtown for dinner, Land Cruiser is never out of its element.